BZN is a utility token used on the Ethereum blockchain. Once in your wallet it is similar to any other crypto token, in that it can be traded at an exchange, given away, bartered, sold, etc; it’s yours to do whatever your heart desires. The utility aspect of BZN comes from its use within War Riders (WR), where BZN is the only currency accepted to purchase upgrades for your vehicles and garages. Within the WR ecosystem BZN is valued at $0.5, asset upgrade costs are pegged to a USD$ amount, therefore BZN is, indirectly, a “stable-coin”. For example: let's say a turret mounted 50 Cal is valued at $20, the only way to buy it is by spending BZN, so 20*0.5 = 40 BZN. 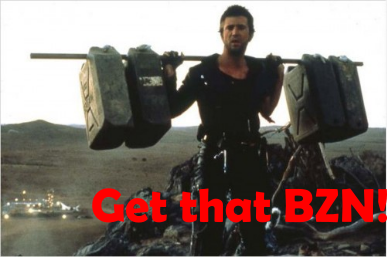 In theory the real value of BZN should hover somewhere around $0.5. 1. Buy a premium vehicle in the presale (Aug 20 - Oct 20). All WR premium vehicles will have their BZN tanks topped off via airdrop, which will happen at the conclusion of the premium pre-sale. 3. Participate in WR’s bounty - There is a running reward program for participation on the WR Btc Thread. Every "quality" response will net you one BZN. To collect, head back to discord #btc-discussion and post your BCT info there (check the pinned messages for details). 4. Join or start a clan - visit #clan-discussion and read the pinned post there for specifics. In short, any verifiable clan of between 3 and 8 players is eligible for a BZN reward and logo design assistance. 5. Get access to WR closed beta - Planned for the end of this year. Owning at least one premium vehicle will guarantee you a spot in the beta testing. This will be a great opportunity to not only secure some BZN before WR’s official launch, but also learn the ins-and-outs of WR’s gameplay mechanics, little of which has been revealed at this point. Garages are going to be an important part of WR gameplay. They function as a bank for your vehicles to bring their captured BZN and as a safe-haven for other wanderers in the wasteland. If another players seeks refuge in your garage then you are entitled to a “boarding” fee, that they must pay. Therefore having well placed, or just lucky garages may lead to some amount of passive income. Each premium vehicle kit comes with a garage, which can be located wherever its owner choses. 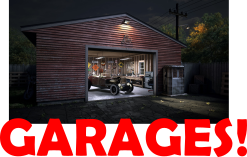 Give some thought to where you place your garages, once a location is chosen and garage placed, it cannot be moved. Next you will need to buy some Ether, the cryptocurrency used to play the vast majority of blockchain games, including WR. The simplest way to do that is through Coinbase, after getting through the initial KYC (Know Your Client) verification process, actually buying crypto is fast and easy. Next you will need to transfer the Ether you bought on Coinbase to your Meta-Mask public address, after that you are ready to rock-n-roll. Feel free to leave a comment here or hit me up on discord if you need a little help here, my discord ID is the same as this one. Really good article. It was a great break down on both the game and how to get crypto to get into the game. Another great article aristo, keep up the good work. Thanks, I appreciate that. It has been hard to find the time lately, but I try. @aristo80, I gave you a vote! Congratulations! This post has been upvoted from the communal account, @minnowsupport, by Aristo80 from the Minnow Support Project. It's a witness project run by aggroed, ausbitbank, teamsteem, someguy123, neoxian, followbtcnews, and netuoso. The goal is to help Steemit grow by supporting Minnows. Please find us at the Peace, Abundance, and Liberty Network (PALnet) Discord Channel. It's a completely public and open space to all members of the Steemit community who voluntarily choose to be there. 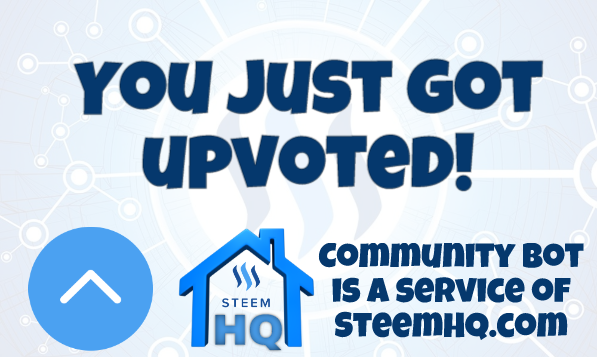 you just received a 15.15% upvote from @steemhq - Community Bot! Really interested in this project to see how it plays out. I'm a gamer at heart so having crypto as the main resource in game may be the greatest idea ever! Upvoted by CatCreators! Beautifully written post, BTW!